Communication has never been that interesting earlier, when toll free numbers came into existence. But now when Toll free numbers have come up with a concept to reach more and more customers easily and more effectively it has proved to be the milestone of success in every business. Interaction with customers & prospects is the key for any business to take the lead. It is necessary to have an easy way to reach out to customers. 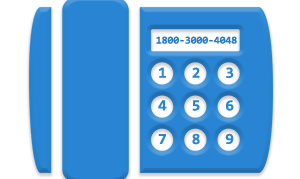 Toll free number is used with a view to connect with customers & make it easier for them. Now, that your clients can reach you any time, they prefer a free and easy communication. That is the reason why marketers prefer toll free numbers. This is proved to be a valuable tool for businesses of all types. Underneath mentioned are some major factors which describe why your business needs a toll free number. Customer Satisfaction: With toll free number it is convenient for your clients to reach you whenever they have any query. So toll free number helps improve customer service and satisfaction by being available to take their call 24 X 7. Providing a customize customer service makes a big difference & generates leads. Unforgettable Vanity Numbers: Vanity numbers are such easy to remember that one can never forget. A vanity number can help a business with both branding and generating more leads from advertising. It can be a powerful marketing toll to drive more sales. Affordability: Today is the time when toll free numbers are easy to set up & affordable for small businesses or start ups. Subscription rates for toll free numbers are comparatively much low than other regular telephone services. Service providers offer affordable monthly plans or cloud options (pay as you go) for which you don’t need to have a contract. Wider reach and scope: You must dream to grow and expand your business like every entrepreneur and want to have a national presence of your business. Toll-free 1800 numbers take your business to greater heights. But, you have to make sure that you’re accessible to your national customers by providing them with a simple, cost-free way to connect you whenever they have any query about your service. Mobility: With a toll free number, it is possible to make your business portable. This can result to be your great convenience and as well as to your customers. In case your business demands a change in location for any reason, you can still be reachable for your customers by toll free number, that’s an added advantage when location doesn’t matter anymore. A toll-free number can be simply set to forward your calls to your mobile or landline phone. Credible Image: The 1800 number adds a professional image to the business, so marketers prefer to get this number. A toll free phone number leaves an impression over your perspective client that builds the credible image of your business, it helps you to get your target customers & prospects. This is a great marketing tool for companies of all size. So in the end while summing up all the advantages and benefits one could say that having a toll free number is really beneficial for your business and MINAVO COMMUNICATIONS aims for the same. Therefore, stay in touch and get the best out of it.